Whilst Europe’s Earth Observation (EO) community was focussed on the successful launch of Sentinel-3B last week, you may have missed that it was also an exciting few days for the Chinese EO and space sectors. On Thursday 26th April at 4.42 (GMT) China launched five EO satellites using the Long March 11 rocket at 4.42pm (GMT) from a mobile platform at the Jiuquan Satellite Launch Centre in the Gobi Desert. The five small Zhuhai-1 remote sensing satellites were put into sun-synchronous orbits. Four of these satellites are reported to be carrying China’s first commercial hyperspectral cameras, with a spatial resolution of 10 metres. The fifth satellite carried a video camera with a spatial resolution of 90 centimetres, operating with a swath width of 22.5 km. All of these satellites are owned by the Zhuhai Orbita Aerospace Science and Technology Co Ltd. The company plans to establish a constellation of 34 video, hyperspectral and other satellites to provide data for agriculture, land and water resources, environmental protection, geologic monitoring and transport. 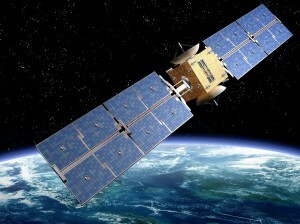 The next five satellites in the constellation are expected to be launched later this year. Also last week, the 24th April was China’s third national Space Day with a theme of forging a new era of space development. As part of the event the first China Aerospace Conference was held in Harbin in China’s Heilongjiang Province, with reportedly over 2,000 people gathering to discuss space technology and introduce China’s latest space programs. Northern Chinese province of Shaanxi released a plan to create a 72 strong Cubesat constellation to provide rapid data for land surveying, environmental monitoring, disaster warnings, agriculture, forestry, and water conservation in Shaanxi. It hopes to launch the first two prototypes next June. Queqiao was announced as the name of the satellite that will carry the Chang’e-4 lunar probe into a halo orbit of the moon. Queqiao, named after a magpie bridge from a Chinese folktale, will be launched in late May 2018 and the probe hopes to will be sent down to the surface around six months later. If successful, it will be the first exploration of the dark side of the moon. Water Cycle Observation Mission (WCOM) : Will simultaneously measure key parameters such as soil moisture, ocean salinity, and ocean surface evaporation. Solar wind Magnetosphere Ionosphere Link Explorer (SMILE): Joint mission with Europe to focus on the interaction between the solar wind and the Earth magnetosphere. Einstein-Probe will search for celestial bodies that emit X-rays during fierce changes. Advanced Space-borne Solar Observatory (ASO-S) to monitor magnetic fields, flares, and coronal mass ejections. Gravitational Wave Electromagnetic Counterpart All-sky Monitor (GECAM) will search for electromagnetic signals associated with gravitational waves. Launch of Gaofen-5 satellite is scheduled for 2nd May, from the Taiyuan Satellite Launch Centre. This is part of the China High-resolution Earth Observation System (CHEOS) which includes multi-spectrum imaging and synthetic aperture radar satellites. Gaofen-5 is reported to have six instruments including a visible and short-wave infra hyper-spectral camera, spectral imager, greenhouse gas detector, atmospheric environment infrared detector at very high spectral resolution, differential absorption spectrometer for atmospheric trace gas, and multi-angle polarisation detector. It’s clear that China has big plans for the space exploration and EO, and it soon could become the world leader in these fields – particularly if the data was made available more widely. No-one working in our community can ignore these developments and what potential future impact they may have. This entry was posted in Data, Earth Observation, Remote Sensing, Satellite, Space Industry and tagged ASO_S, CHEOS, china, China Aerospace Conference, China Space Day, cubesat, Earth Observation, Gaofen-5, GECAM, hyperspectral, Queqiao, remote sensing, satellite, Sentinel-3B, Shaanxi, SMILE< WCOM, video, Zhuahi-1 by Andy. Bookmark the permalink.